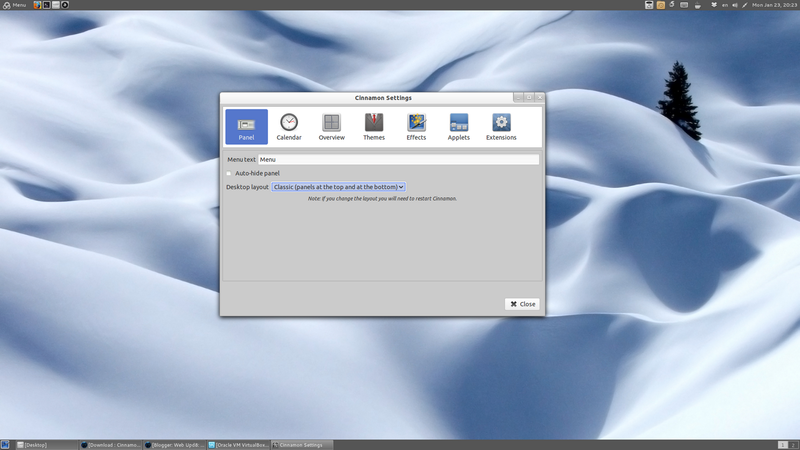 Cinnamon, the GNOME2-like GNOME Shell fork, has reached version 1.2, which is considered fully stable. 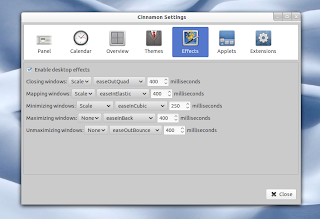 The new release brings many new features, but also separates Cinnamon even more from GNOME Shell. - Cinnamon Settings: Even though you've seen Cinnamon Settings in our previous Cinnamon post, this is actually the first public release for the new Cinnamon settings tool, which you can see in the screenshots above. Using it, you can customize desktop effects, change the theme, enable or disable extensions and other tweaks. - Applets: these are some special extensions that make use of a new API and they don't depend on the Cinnamon version. Cinnamon 1.2 comes with 5 such applets: accessibility, recent documents, removable drives, trash and display (xRandR monitor control).